I love underground, independent hip-hop. I don’t think it gets its proper due. There’s just something about listening to talented, hungry emcees over unpolished beats that you don’t find in much mainstream music. There’s that certain aesthetic, the DIY hustle, that shines through the music. People keep telling me I’ll grow out of it, but it hasn’t happened yet. In high school I spent a lot of time buying used tapes at one of Portland’s classic record stores, 2nd Avenue Records. Most of the store was vinyl, but they had this old wooden cabinet in the middle of the store and you could pull out these giant, heavy drawers full of cover-less, beat-up tapes for $2 each. I loved digging through those drawers, and sometimes I’d spend my lunch money on some new music. After grabbing a tape or two, I’d occasionally wander over to the hip-hop vinyl section and peak through. But it was a pointless mission since I didn’t have a record player. However, I was a bit of a computer nerd, and I did have a 2400 baud modem attached to my dad’s PC. Around 1995, I found myself on a “BBS” (google it) message board emailing with a young emcee and producer in Florida who was accumulating heavy amounts of obscure, independent hip-hop vinyl. He volunteered to fill up any blank tape I sent him with the best hip-hop he had, and it was too good of a deal to pass up. I’d send him two tapes at a time, and get them back a month or two later, packed full of all kinds of independent hip-hop, b-sides and remixes. Stuff from all over the country. It was an education, and I can’t thank that dude enough for being so generous. He’s now a fairly well-known producer and emcee in New York, who has worked with many of the artists he dubbed onto those tapes. When I moved to New York in 96, I started hitting Fat Beats, Footwork, and other spots, not just for the latest wax, but also some of those classic joints from those mixes. Over the years I’ve tracked many of them down – but there’s still a few that elude me. 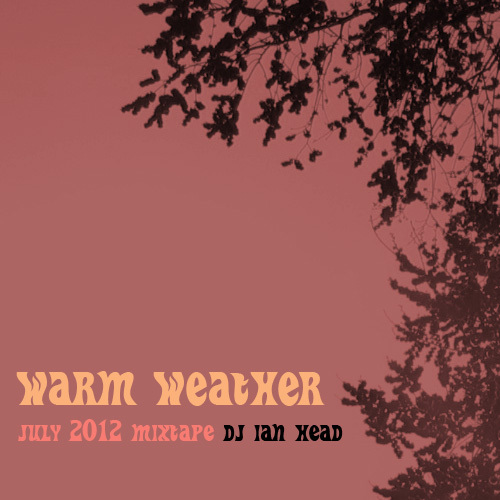 The first mixtape I made for internet distribution in 2007 was collection of 90s independent, underground hip-hop vinyl. Honestly, I don’t have a copy of that mix anymore – I’d looked on old hard drives, CDs, everywhere – I can’t find it. So I thought I’d take it back with a similar theme, and play an hour of independent hip-hop vinyl – it’s not strictly 90s releases, but most of these joints are at least 10 years old (I can’t believe it’s 2012…). A LOT of records got left off this tape – those that made the mix are some favorites and obscurities that hopefully not everyone has heard before. 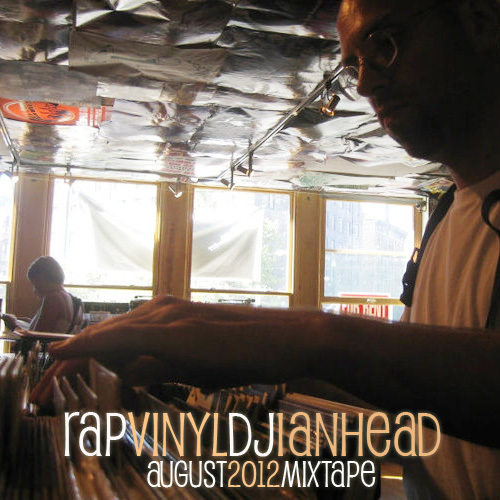 I tried not to play too many records that appear on my past tapes, and I also tried to span the country geographically. So for the backpacker, underground heads like me that hear this, hopefully you enjoy. I had a different idea for this one going into it, but feel pretty good about how it came out. Play it while driving to the beach and pretend it’s 1991. Just realized there was a video for this track – a CLASSIC cut from Acey’s first solo album, with vintage verses from Ab Rude and Mikah9. Enjoy. Some classic Seattle sounds for Friday. To be honest, I wanted to do two things this month: play some hip-hop, and use these really funny voicemail messages I found while digging through old samples and sound files. I was able to do both, to a certain degree – I could have played more records, and I could have played more messages, but I think what came out is a decent little tape, a couple treats to vibe out to in your headphones, something a little more rugged for the hoodies-and-jeans fall weather. These are a few records that remind me of hitting classic vinyl spots ten years ago while flipping a Rob Swift mixtape over in the walkman. Hmm..that might have been a bit more than ten years ago. Much like the dozen donuts on the cover, I tried to drop a variety of joints here, from Chicago and Seattle, Philly to the UK. First is a vintage DJ Spinna instrumental, I just love how his beats were so creative, hit you so hard with the bass lines and filters – you always knew it was Spinna. Found this the other week at The Thing, the b-side has a joint from Buckwild. Next up is High and Mighty‘s “The Meaning,” which might end up being my favorite twelve-inch by them. Bought this at Fat Beats when it dropped, back in 97 I think. Then you got an off-kilter Daedelus instrumental, and some People Under the Stairs, before some super-underground Roots white label heat. (Did this ever come out officially?) I’m sure by now you can tell the vibe I’m on here…next is one of my favorite Mumbles beats, followed by the slept-on All Natural record “Ill Advisory” featuring Juice, discussing why you don’t want to mess with Chicago emcees, years before Kanye. Then just to flip it up, I dropped some UK material – Lewis Parker‘s “101 Pianos,” with some Herbaliser basslines and What What rhymes. But possibly my favorite record on this mix is “Official Members,” a serious classic Emerald City piece from the “14 Fathoms Deep” compilation by Mad Fanatic ft. Rag Chyld. The concluding record is an instrumental from Madlib’s underrated cousin, Kankick. Last thing I want to say, in regards to the two messages on the tape, is big shouts out to Gabe and Sara for trying to hook up a donut fiend. I had totally forgotten this happening – good looking out! 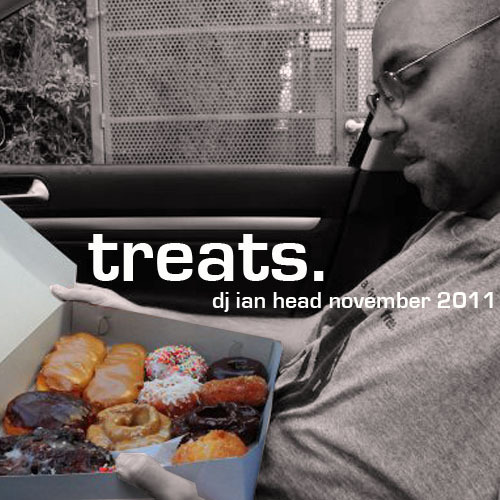 And shouts to Ani for the cover photo – the best donuts reside out west.